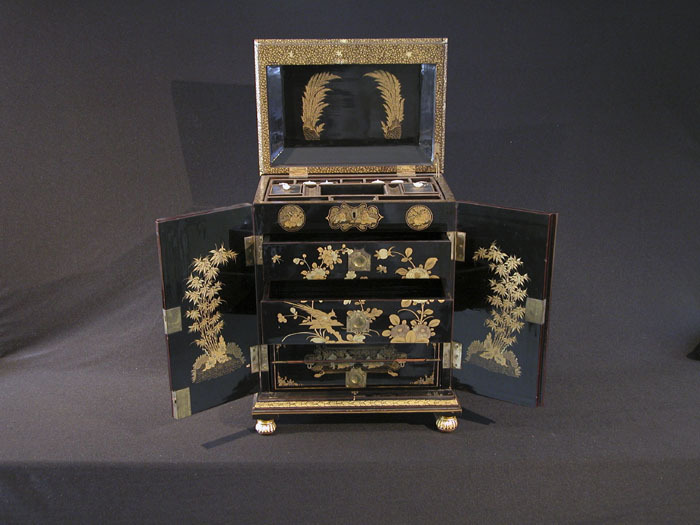 Combination footed sewing and writing box of black lacquer. 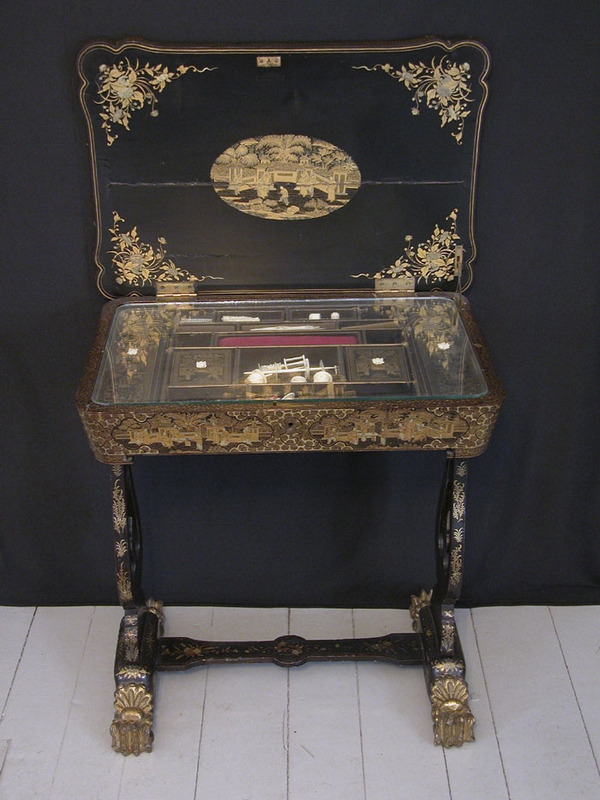 Hinged top opens to reveal an inset tray, with gold paint around top edges. Tray has 15 compartments for sewing items. Desk opens to a scarlet velvet writing surface. 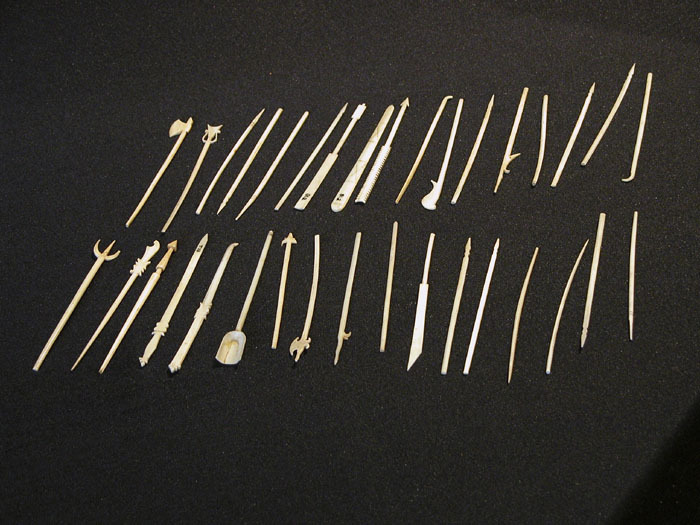 Set of 34 ivory Chinese jackstraws used as a toy by Kate Dow when a young girl. 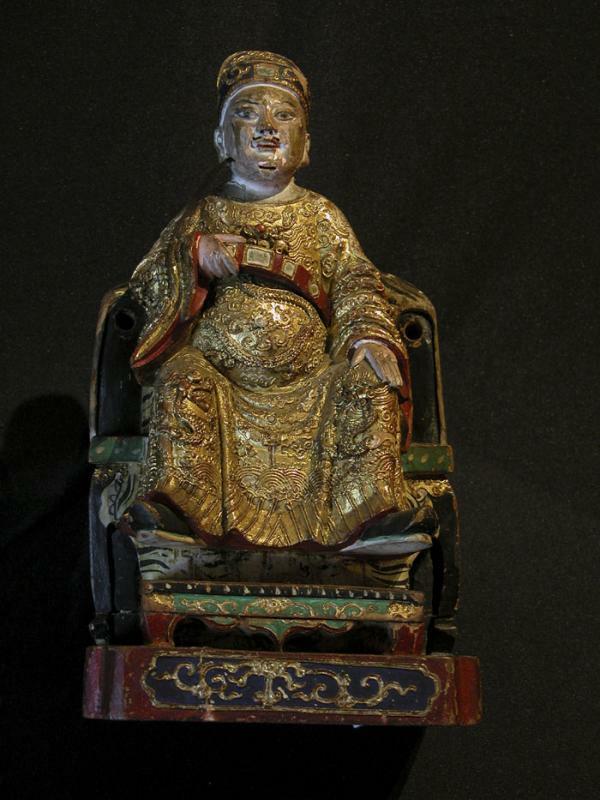 Probably brought back from China by her mother's brother, Capt. 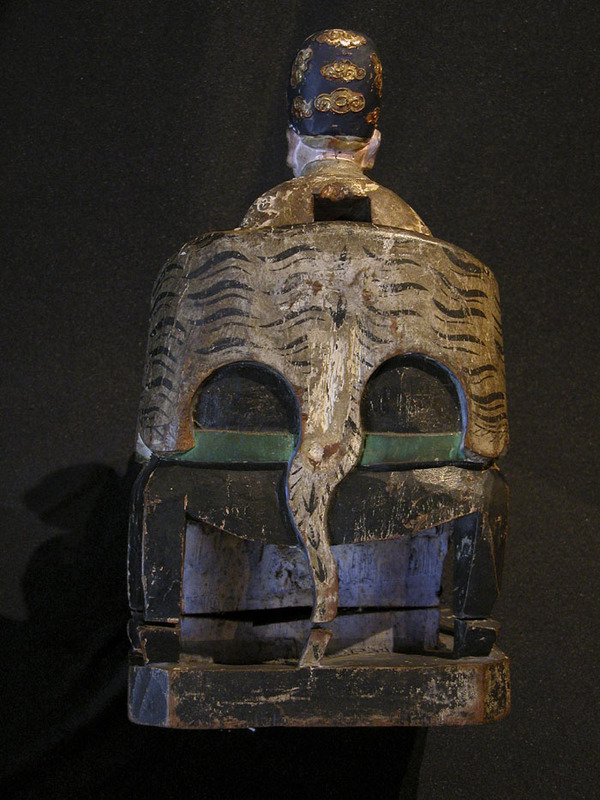 Oscar Eaton. 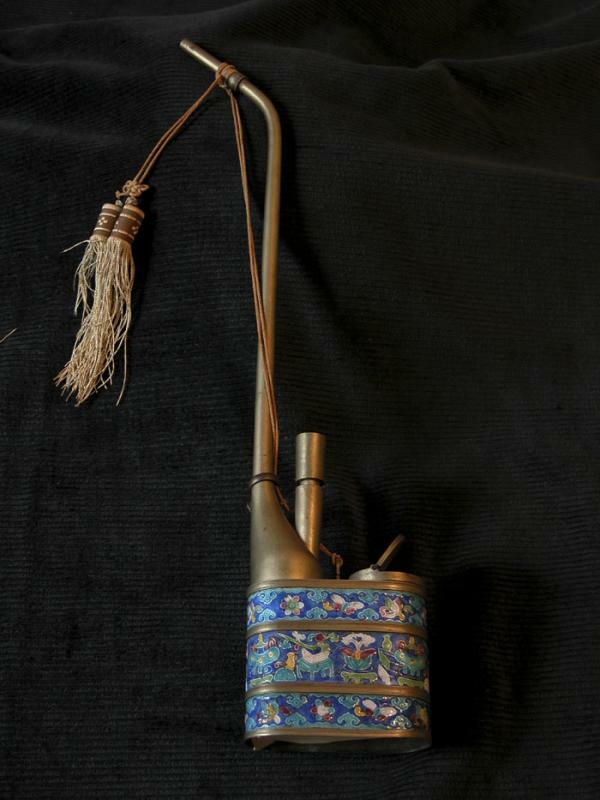 Chinese hubble-bubble pipe, with enamel inlay around base and hanging decorative fringe. 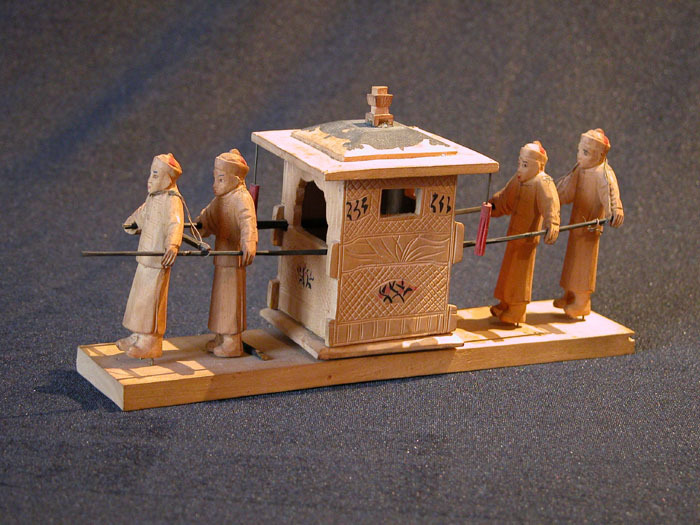 The Chinese may well have invented the compass; it was in use in the 12th-13th centuries there. 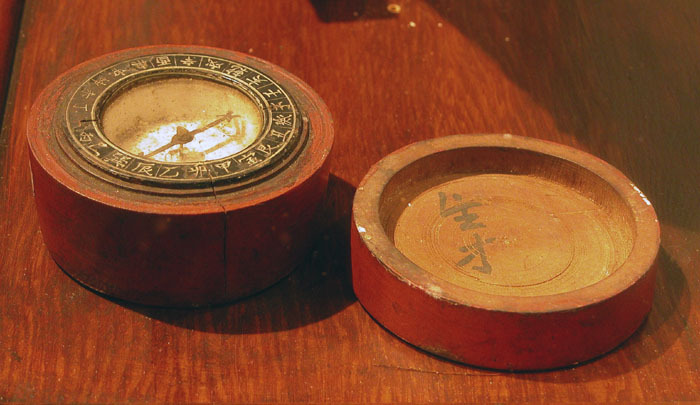 This one is not a navigation compass but was used in feng sui. 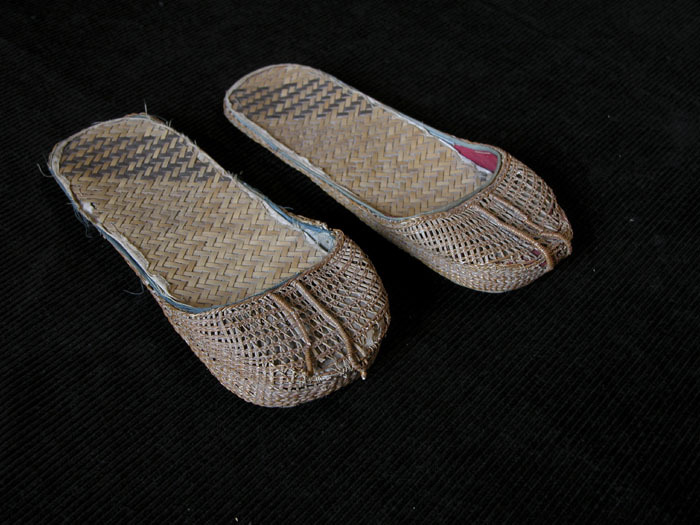 It is a dry card type perhaps modeled on the European types introduced into China in the 16th century. 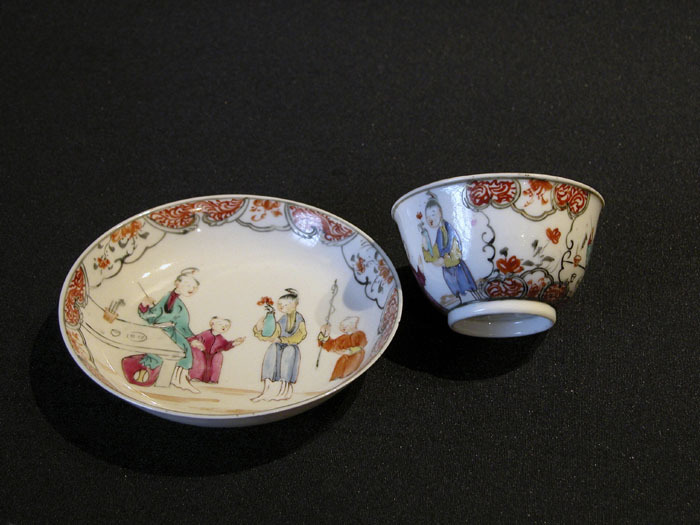 Chinese export ceramic tea bowl and saucer. 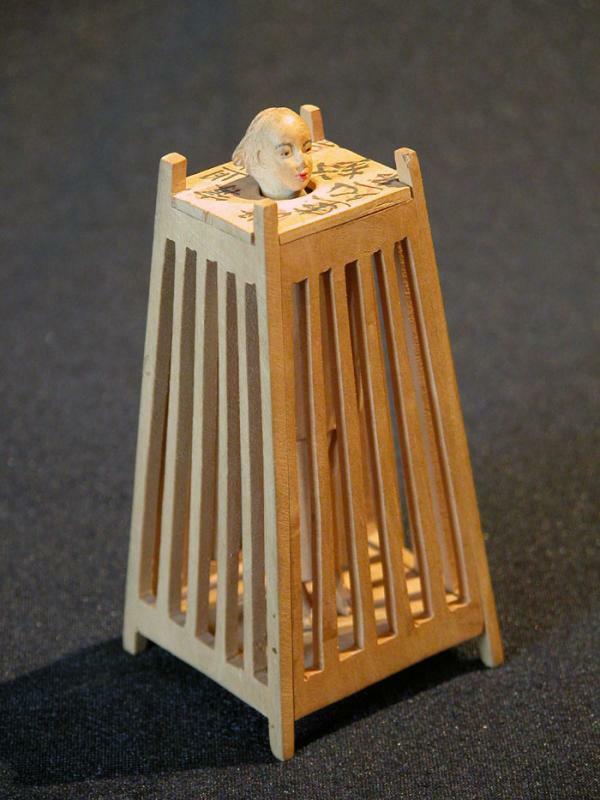 Design has a lady with a boy entertainer. Very thin porcelain.